Warehousing sector regulator, the Warehousing Development and Regulatory Authority (WDRA), has decided to suspend issuance of physical negotiable warehouse receipts (NWRs) from June 1, 2019, by all regulated warehouse. At present more than 1,000 warehouses with 8.7 million tonnes of registered capacity are understood to have been registered by WDRA, on whom this directive will apply. They have been given over two months’ time to comply with the directive. All of them deal with farm commodities, said industry official, as the regulator is yet to finalise parameters for non-agriculture commodities. On derivatives exchanges like NCDEX and MCX among others, only regulated warehouses are empaneled and hence from June onwards in agri commodities, only negotiable warehouse receipts in electronic forms will be accepted. Sources said that on exchange platform, proportion of physical warehouse receipts is hardly 15 per cent. Issuance of e-NWRs is currently confined only to central government-owned Central Warehousing Corporation (CWC) and some state warehousing corporations. The WDRA as recognized two repositories as of now i.e. CDSL Commodity Repository Ltd (CCRL) and National e-Repository Ltd (NeRL) for this purpose. These repositories are operational since the launch of e-NWR on September 26, 2017. The warehouses registered with regulator have to also register with these repositories for issuance of e-NWRs against the underlying commodities deposited in warehouses. The directive will not impact business to finance goods that is warehoused. 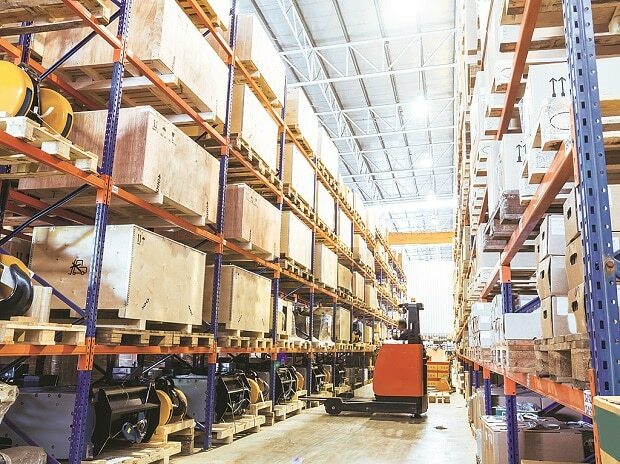 “Over 80 per cent of warehouses in India are owned and operated either by individuals including farmers, traders and bulk dealers to which collateral management companies like us have hired. These warehouses are not registered with the WDRA. Hence, such directives do not impact them. For us, our in house innovative technology has enabled mandatory issuance of electronic warehouse receipts (e-WRs) that are not negotiable,” said Sanjay Kaul, managing director, National Collateral Management Services Ltd (NCML). Meanwhile, warehousemen have floated their own non-banking finance companies (NBFCs) through which they borrow from banks on low interest rate and lend to their own collateral management customers. Some of these companies have also set aside a large chunk of their funds for NBFC to fund their own clients based on the WRs generated either on physical or electronic form through a company-owned system. To achieve the priority sector lending target, however, banks are comfortable doing business on trust with private collateral managers with physical WRs. “Unless banks are prevented from funding on physical WRs, mandatory issuance of e-NWRs would make no sense. But banks are not regulated by the WDRA. Hence, the three parties of the warehousing eco-system like the regulator, collateral managers and banks should sit together to arrive at a conclusive regulation without affecting business,” said Amit Agarwal, Director, Star Agri-warehousing and Collateral Management Ltd. Collateral managers are comfortable with their own systems. Kaul explains that, whenever there is an issue of short quantity or quality difference with warehouses when the warehouse receipts are e-NWs, there is lack of clarity on responsibilities and, “If collateral managers need to pass through the lengthy civil suit system, why would anybody go through such a complex procedure for recovery of the difference in underlying commodity,” asked Kaul.